We are Master Thoth, the Great Divine Director, and Master Einstein representing the Unified Whole Command of the 144th Dimensional Frequency of Light. We would like to share with you the dynamics of the energies that are presently occurring within the Earth and how you may be affected during this time as great accelerations are occurring for everyone, within and around the Earth. 2016 truly has been a powerful year but yet all the years leading up to this time have created the availability for each of you to experience more frequency of light than the previous years. The changes that are occurring presently are beyond the scope of understanding within the human mind but yet so many individuals are looking to information that will assist them to UNDERSTAND from their mental body. Sometimes as a human you just have to let go of the chatter to really find the true answer. It is an element that has to occur from your Divine Mind, your Higher Self, into the focus of your physical existence. So how does One go from the Physical Mind into the Higher Mind? Well, that is exactly what each of you is experiencing presently whether you are intentionally working upon it or it is happening through your higher states of awareness. The process of life changing upon the Earth is occurring right before your eyes, within your consciousness, and through your physical experiences. This is what is called the Ascension Process, and it is going to continue for quite some time. But what stage of growth are you experiencing presently? As the influctuation of the light energy is increased around the planet, it allows for seepage of these light elements to come into the existence of humanity. But since the Awakened individuals are still at a low percentage level, then the experience of this light is going to be increased within each person. This means that each of you that are aware of the elevated energies is going to be effected at a higher rate than the general population of the Earth. The more aware you become, the more that you accept to receive these energies within your system. As the planet is changing through this process, it is imperative that each soul receives these increased energies so that it can be held within the core of Gaia. This means that each of you must be very diligent to realize that you will change in the re-patterning of the earth. In fact, you have asked to take on this role so that this earth can arise into her higher creations of light. You are the beacon of light to take on these responsibilities so that others can do the same. But how do you go about allowing this to happen without feeling overload? This is a very good question as within the context of your physical mind, there cannot be any answers. There is only the continued thoughts of how and why you can continue through this process. Change is inevitable within each of you, but it depends upon how you relate to those changes that are occurring. We also know you want the global change to happen but it cannot occur immediately. But the important element to consider is how are you being affected within your consciousness and your life to what is happening upon the Earth. Each of you is a Torch Bearer to bring forth this energy to be held within Gaia. But yet, a Torch Bearer also has the responsibility of knowing within themselves how the changes are affecting them and how to continue to be that Torch Bearer. We believe that some individuals think that the Earth is within the 5th dimensional frequency but we beg to differ with that statement. We think it is a matter of understanding the consciousness that is occurring and not what is happening within the Earth. There are great changes at this time. The preparation that each of you are going through is tremendous as there are more light infractions appearing within the Earth to be grounded to assist the planet to align with the 5th dimensional level, but it is up to each of you to hold it within your own consciousness. All you have to do is look at the world around you to see the battles that are occurring within countries, within leaders, and within the people. This represents the fourth dimensional level of consciousness. This earth has shifted from the third dimension because there is an awareness that was not present previously. Living within the third level represents being asleep so it is important to look around you at individuals, “are they still asleep”. Unfortunately, many still are. But yet, the planet is still transitioning to the level that you desire to have in existence at this time. Hope is not a bad thing; in fact it is very important to see that there is a chance for the Earth to move into the higher realms of light. But please know that there still needs to be so much work in order for that pathway to be grounded within Gaia and each of you. That is exactly what you are going through presently. It is important through each change of light that is occurring to know what is happening within you as great movements of acceleration will happen to change your four-body system into a heightened level of awareness, but there is so much more that is involved within that process. If you are not already participating in the teachings of mastery in your own life, it is imperative that you do so as they will help you to realize what is changing within your system, and to realize it is all part of the process of ascension – De-Ascending your Highest Consciousness into your Full Body System. Each of you must heal deeply in order to hold the 5thdimensional light body. It will not come into you just because the planet is transitioning into a higher level. You have to allow the healing to create more healing into the depth of your soul’s history. So the effects of the God Force are bringing forth the light infractions to assist each of you to go through this process. Your physical bodies are not used to these elements that are increasing through each month and change of the seasons. The planet is accelerating but you must realize that there is a long way to travel until Gaia can fully accept her role as a 5th dimensional planet and then beyond. The Solstice in June is another event that is going to catapult these energies into a higher frequency of light for each of you. The understanding of what is occurring is not our role to share as Lord Metatron wants to bring forth that information (forthcoming in another post), but we can tell you that each of you are preparing to hold more light energy within your physical form. There is a great deal of internal work that needs to be done in order for it to be held within you. Changes have to result within your psychological self as it represents your multi-dimensional personality, your soul body of light (the Etheric Body), and how that integration occurs within your entire structure. So yes, many of you are being challenged. It is affecting your sleep, your times of being awake, your chakras being realigned, your intuitive self is becoming stronger, and more light quotient being grounded within your physical self. All of these elements create havoc within the physical body especially when the individual going through that process does not understand that they have to remove the elements that have been lodged within their soul’s psychological self for eons of time. You must understand that you cannot rise to the higher frequencies without taking care of these elements. You may still feel the elevation of the light, and you will probably feel extreme pain during these times, but you won’t be able to hold it. Some individuals may feel that this is wrong, to go into the past as it is finished. But unfortunately, your Etheric body holds it all and this part of you is your Feeling Body. It allows the other bodies of the Emotional and Mental to work through you. It cannot be ignored in any shape or form. If you don’t take care of these elements now, then you will have to do so at some time either in or out of body. So when we look at the earth and what is happening presently, we can understand why you want to go into the “love and light” syndrome. This is not a bad thing, but realizations must come to the forefront as each of you hold this light but also hold your own darkness even if you don’t go into that space. It is ignited through your field of light and can be causing more debris to be centered upon the earth. We know that this is not easy to hear for some of you, and others you may feel that you are starting to understand why the world is the way it is. Yes, there are increased Light Quotients being realized in every single person at this time. And, there will be more. The important element for each of you is to be able to hold it as much as possible. Yes, these light infractions will create change for you, but it is up to each of you to realize what is happening, go into the energy, and look for yourself within the Emotional and Mental Bodies so that it can be transformed. Otherwise, we are going to be experiencing these energies upon the Earth for a very long time. Now there may be others that are feeling the increase rate of acceleration in a different way. Their psychic abilities may be so strong that they feel as if they are moving into a different time and space. There are many opportunities at this time. The veil between the worlds is very thin and many things can happen through this process during the Solstice. This way of existing is not recommended, as it will take you into a different dimensional universe that is not aligned with the Light of God or the Source of Light. But many may decide this is the route they want to take because of the challenges they are feeling physically and emotionally. You have to remember that you have a contract with Gaia to uphold these energies even though the transition can be difficult, almost feeling as if you cannot go onward. The history within your soul is healing deeply through each transition to allow the four-body system to come into alignment as it should be. There are many timelines within your Etheric Body that ignite every time there is an increased amount of energy within the planet. It is essential that every person be able to transform their physical body into the light body, but these timelines need to be rectified, purified, and put into wholeness so that the full body system can be centered within the Earth. The important element we want to convey is that Grounding is essential for each of you at this time. Bringing forth the accelerated energy into your full body system, allow the changes to occur for you, heal all parts of yourself through the process, and feel the new You become very grounded within your thoughts, your emotions, and everything that is important to existing upon this Earth. We need you to stay, not to leave and go into other worlds. We know it is not easy at all, but call upon your Higher Essence to help you realize the contract that you have taken on. It is a critical time for Gaia and for each of you. Holding as much of these light frequencies within you to be grounded to her essence is imperative. Others need to feel this especially the Ones that are still asleep; we need each of you to become better within yourself to hold this essence you are becoming. Work through your physical elements, call upon each of the Brothers and Sisters of the White Brotherhood to assist you, become the Master you desire to be. As you do so, you will heal your body, your emotions, and your thoughts. You will become the Divine Mind as is deemed appropriate through the Ascended Master State of Consciousness. Step into the energy of the Solstice and this coming season with a renewed sense of who you are becoming. Allow yourself to change in the process, be happy with your transition even when it feels not so joyful. Each of you has this power within you to be One with your Higher Self or Divine Mind and this is the process you need to realize for yourself. We want to extend our loving assistance to help you through the transition of the New Earth. Realize within yourself that you can be in the 5th dimensional consciousness, within your thoughts and your emotions, and the more you feel this, the more it will become concrete within Gaia’s core. But always be honest with yourself of what you are feeling, the emotions and thoughts that come into your consciousness as they need to be changed. You will thank yourself for acknowledging all elements of who you are becoming. And most of all, Gaia thanks you for taking on an enormous role of responsibility to assist her so that other souls will be able to come to the 5th dimensional earth of Terra Christa. It is a beautiful time of great acceleration. We have deep compassion and love for each of you. Walking Terra Christa will be holding a Solstice/Full Moon Ceremony on Monday, June 20th, 2016 at 4:30 PM Pacific. For details on how to join this OPEN TELECALL, please click the link. Walking Terra Christa held a 2-hour class with Master Thoth and The Great Divine Director: REVEALING LOST PUZZLE PIECES: THE LAW OF CAUSE AND EFFECT. You may utilize this class in your personal time as it represents Changing and Accepting Timelines from the soul’s perspective. Note: Walking Terra Christa is providing an 11:11 GLOBAL TELECONFERENCE WORKSHOP to walk into this GATEWAY with deeper understanding of our own Mental, Emotional. Etheric/Physical, and Spiritual Self. Workshop Series begins on Sunday Nov. 8 and continues through the evening of Tuesday Nov. 10. We then gather together for a GLOBAL CELEBRATION on the 11:11 (which everyone can join even if not participating in the workshop). Click here to read more about joining one or both events. 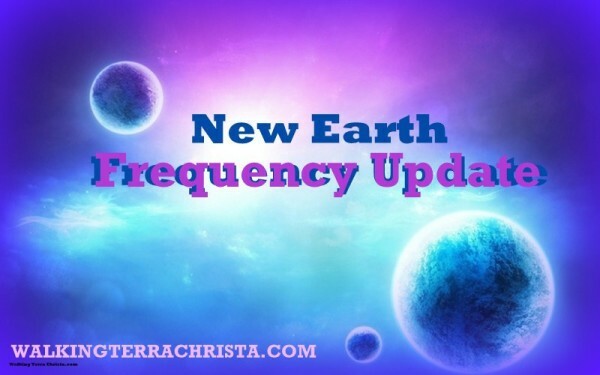 The New Earth Frequency Update is a channeled message of the Unified Whole Command within the 144th Dimension of Light through Rev. Christine Meleriessee Hayden. Blessings and Joy is arising in the hemispheres of the Earth at this time. We are happy to come forward and share an inspirational message from the Unified Whole Command, within the 144thdimension of Light of Oneness with Master Thoth, The Great Divine Director, and Master Einstein. As the energies are increasing towards the 11:11 frequency of Light there are more changes happening within and around the earth. Each of you stand as the Beacons of Light existing upon the lands of GAIA holding this vibrational essence within yourself. Your transformation to walk through this doorway is immense and you should truly be extremely proud of what you are achieving. So much work still needs to be done as the frequencies that are coming into the planet need to be fully grounded. It is important for us to look at the energies of 11:11:11 moving into 2012 through 2013, into 2014 and the present year of 2015. So much knowledge has been incurred since that time within your consciousness for you to accept within your physical bodies. We must not forget about all of planetary changes that have happened during these years as it has assisted the present energies to be fully accepted within you through humanity and within Gaia. You are truly showing yourself as the Awakened Ones from the Fallen Angels of this Earth into the Enlightened Consciousness of Humanity. We ask you to look at yourself, within your challenges, and your successes during this time to truly see what you have achieved. We are not talking about physical movements but truly how has your emotional and mental bodies been adjusted to receive the healing and higher light formulations to accept the Divinity of Consciousness to be felt by everyone on this planet. People are changing in many different ways and no two individuals will walk this pathway in the same way. Some will never awaken to the fact that a shift of consciousness is occurring within the planet and change their thought processes. But everyone is being affected through their bodies, their minds, and their hearts. The eruption of the energies cannot be matched by anything else that has occurred in the history of this planet. All elements are coming into place to allow the alignment of the higher realms of light to exist within each of you. You are the Ones that are standing in front. You acknowledge your deepest feelings and thoughts; you see that they need to be changed so that is what you achieve. It may not be easy but it is necessary, as each of you know. And, this is going to continue from this point forward. The one element that is very important is that it is happening. It is up to each of you, each soul upon this earth, to hold this frequency within your heart, let it expand through all of your chakras, let your higher chakras become One with you, allowing the healing to take place, the darkness to leave, the old timelines of the past no longer matter as they have served their purpose in your evolution of light within the physical existence. Let us take you on a journey of how far you have come. You are the Angels of Light that came to this Earth to heal and build a new planet. What happened to each of you that were part of this creation is that you held so much more than the purity within your hearts. You held the darkness of others that you assisted. It was painful and the only choice you had was to stay, but not in angelic form. You chose to be human. So the transition of being an angel into a human has been very intense, powerful, sad, devastating, and sometimes a beautiful experience to your soul. But through every life change upon returning to the heavens, you traveled into many schools with many masters that had achieved exactly what you are doing presently. You returned to the earth many times over to right what had gone wrong. As you were learning to become Whole Once Again, the trials still continued in various ways. But, yet you still return. We would call some of you the First Wavers that have assisted the planet since the 1980’s to become more than was realized previously. You are the Ones that have stayed true to your purpose as you traveled through many dimensions of time and space; you stopped to live on many planets to help gain the knowledge of this planet, Earth, when it was time. But yet, these remembrances can be lost until one finds themselves once again. THIS IS THE JOURNEY OF THE SELF. Many First Wavers have since left the planet. They became tired of the game and truly were not able to uphold the condition that is necessary on this pathway. They lost their Trust and Faith so it was time for each of them to continue their journey in the heavens. These First Wavers still watch over each of you especially to help the ones that have stayed to create the necessary changes. This first wave of angelic essence allowed for the 2nd, 3rd, and 4thlevels of souls to become implanted within the earth. The energy was already created by the First Wavers and then the next wave of souls had to learn how to continue the pilgrimage into Oneness. So the transition was a bit easier, so we thought it would be. This other groups of souls have been coming to the Earth since the 1980’s to the present. Once they awaken they have the ability to obtain great knowledge of their star essence. But yet, many do not know how to exist in a physical body. So the work has to continue. It cannot just happen like so many newer souls coming to Earth thought it would be. The density of the planet has been extreme. Initiating the Feminine Divine into the existence of Gaia has taken much longer due to many souls on this planet not believing in their own God Essence. So change has had to occur within this process. December 2012 was truly an experiment of allowing the first wave of Oneness to come into the planet. But since the Earth is so dense the energies that came into the atmosphere was absorbed very quickly by souls and then dissipated just as quickly. The power of the energies was intensified to see how much Gaia and her inhabitants could hold. We did find, however, that what these energies did for each of you is to help you delve deeper into yourself. You took on what you could within your four-body system and then the rest was dissipated into the ethers of the Earth for Gaia to receive great assistance. It was not lost but held within her auric field when it would be time to ignite the frequencies once again. The time has now come on November 11th in 2015. This is because of the transformation that the planet has gone through, each of you in your personal accelerations, and what has transpired through many souls upon this planet. People are waking up to taking care of themselves, looking at physical healing in many different ways, and learning that the past does need to be healed. The Feminine Divine has always been part of this Earth. It is just that she has been waiting for the right time to bring forth her essence unto the planet. Sitting back and just watching when the energies within Gaia would allow her essence to become more involved. Through the evolution of the earth she became lost so she retreated into silence. That silence is now being broken in a completely new and powerful way. This is the process that has been occurring for many centuries. Changes have happened but the alignment of the energies was not possible for the achievement of the Feminine Divine to be united with the Masculine Divine. Their union could not occur due to many variables of energies that were still very apparent in the consciousness of the world, within the people, and how they interact with one another. It has been like every relationship that is born. It takes nurturing and time to allow both parties to surrender and become used to one another. The Emotional and Mental bodies of Gaia have been healing separately just like each of you have been experiencing. Gaia has been waiting for humanity to be able to h old this frequency of light. It is getting easier as more individuals are awakening to the power of themselves through the Light of God within their own consciousness. They may not know how it is being done, but every individual self is being assisted in this process. So those of you that are waiting for the big boom of light acceleration to come into this planet, please be patient with yourselves. It must come within increments so that more individuals can hold the frequency within themselves. Otherwise, the planet will not be able to exist. Each of you is the Grounding Cord to hold this frequency. That is why your challenges are so great, and why you desire to have more for yourselves than what you are receiving now. The vision you hold is so very strong and that vision will come. But, please be patient with yourselves through this process. We have to realize that in order for Gaia to hold a 5th dimensional energy and beyond she needs her grounding element within her. Just as each of you has to hold the Frequency of Light within you through your Earth Star, she has to do the same. EACH OF YOU ARE THAT GROUNDING ELEMENT. A planet is not really a great planet unless there are individuals within that existence that are holding the higher frequency. Otherwise, you have a planet of density. This is what Earth has been. So on the day of 11:11 each of you will walk through a new doorway of light. What does that doorway represent to you as a human being? It means that you must uphold your contract to hold as much light frequency within yourself. If you cannot accept the higher ray chakras to be within you, then you will have a beautiful experience, but will need to do more work. But what happens if you do the inner work now, before the event? It means that less debris will be held within your body, and you will be able to accept your new-found self on a much deeper level. So the igniting energies of December 2012 will be released once again. They have not been lost. In addition there is more coming from our essence of Oneness, to bring all souls into that essence. This means that timelines, lifetimes, and all remembrances will be put into this existence. But it also means that memories will surface, deep healing will need to be done as it is the goal of this planet to move forward. More individuals will awaken by these energies and that is because your job is to hold what you can. This will then expand out of you into others around you. Your angelic self becomes much more involved than you have ever allowed it to be before. You become the Solar Angel as the energetic exchange will blend within you to become more of what you ever thought you could be. The bliss of these moments will be miraculous and amazing. This is because you are becoming your Multi-Dimensional Self on this day. You become all that you desire to be. Your role will be to hold it as much as possible. Breathe it, live it, experience it. Your Feminine-Masculine Self comes into alignment and allows you to see what is possible. You become the Angel and all elements that it entails for you, but yet, you are the human fully embodied with all of these essences. You will get a glimpse into your future. You will see what is possible upon this Earth in the moments of 11:11. Then, you will see what you need to do for your-self. The healing will come and take you into a deeper level of yourself. It is a true beginning for Gaia and each of you. We know there are many souls that will be able to hold it deeper so that it will assist others. You and Gaia are now ready for the transition into experiencing Oneness within the Self. This is a grand opportunity for the Earth. 2012 represented a different doorway to see what Gaia could hold. It was a grand experiment as it has allowed more souls to awaken to so many possibilities. So our suggestion is preparation. Go deeper into your Emotional and Mental Bodies. See what needs to be addressed so all bodies can blend together as One. Do the inner work so that you will receive what you are able to hold within yourself. Become One with all of these essences. The power of this occurrence cannot be measured at this time. It will be up to each of you individually to see how you are able to integrate the energies, hold it within yourself, and become more than you have before. BUT THE POSSIBILITIES ARE LIMITLESS. We are ecstatic about the likelihood of what is about to occur. It is the first time since the beginning of Lemuria and Atlantis was in the purification of light that there is Hope that we can achieve this transformation. We thank each of you for stepping forward, bringing your energies into the equation, and allowing your transformation to make this all possible. We look forward to walking with each of you through the Doorway of 11:11. We are the Beings of the Unified Whole Command of Master Thoth, The Great Divine Director, and Master Einstein. So Mote It Be in the Light of Oneness and Creation. EARLY ENROLLMENT EXTEND UNTIL OCTOBER 5th! (click here for the Distance Learning Option)Everyone needs a Cosmic Energy Blast to assist the development of the Crystalline Light Body. Our November 2015 Journey Retreat is all about the energies of this 11:11. It is about actively bringing those frequencies into the physical to assist. This event is taking all we have experienced this year to see make sure we ground our advancements as souls upon the creation of the New Earth for what is not acknowledged cannot come to pass. 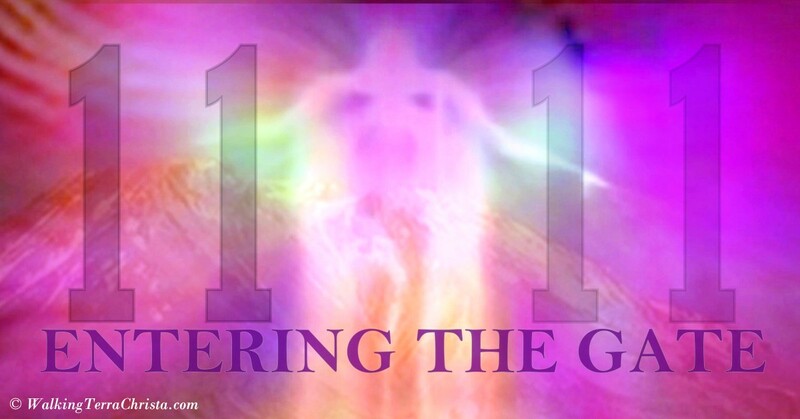 Using the specific energies of the 11:11, which occurs on the New Moon in the elements of determination, seeing the light and the dark within and without, and moving forward successfully, weJourney with the Ascended Masters through each component to create our very own new foundation. We take pause from our daily life to embrace all the purging and clearing that we have undergone these past months within the effects of the Lions Gate, Equinox, Solstice, Eclipses and Super (Full) Moons to engage in ceremony of understanding, accepting and grounding ourselves to Mother Earth. The Ascended Mastersunderstand that one of the main issues facing all Lightworkers on earth today is that ofQuantified Energy Transference. 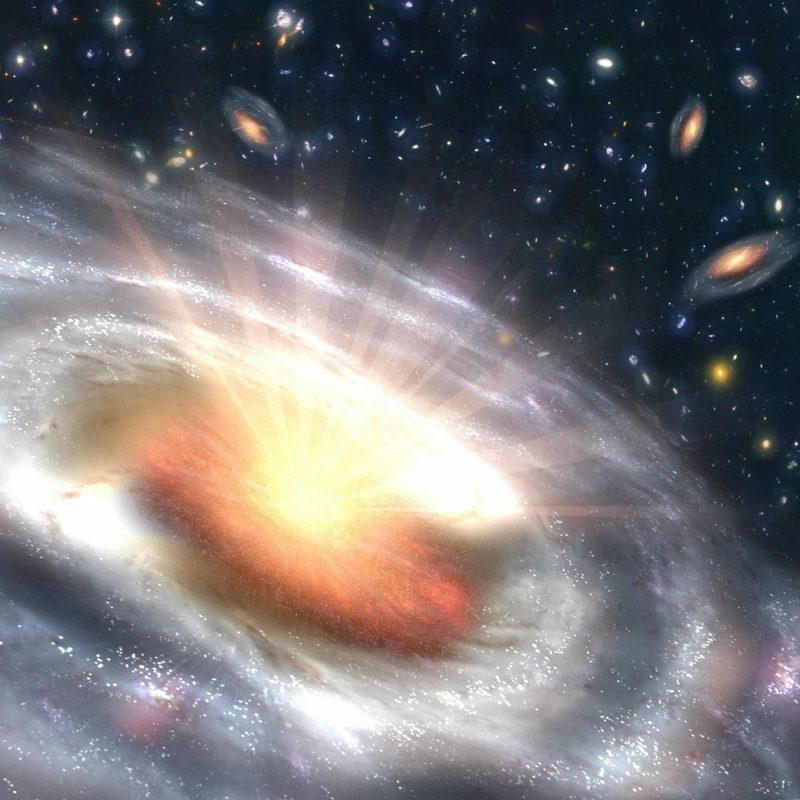 In magnitudes ranging from major to huge, energy transference’s are occurring with every significant Planetary and Cosmic event that we witness. Since the 2012 portal, the earth has been regularly pulsed with increasing levels of intensified energy frequencies. Event upon event, from every Solar Coronal Mass Ejection (CME) to each New and Full Moon, is a significant marker of New Vibrational Energy. This year the 11:11 Portalis no exception as it signifies the awakening of consciousness to yet another Higher Octave of Awareness. Even more power is injected as it occurs at the time of the New Moon phase. Our goal in hosting this event is to insure that each Lightworker gets the opportunity to Fully Ground these collective energy frequencies of light within their own consciousness, which means the mental, emotional, etheric and physical body. It is imperative that the cosmic energy hitting earth becomequantified through the individual energies of each of us. If we don’t intuit, understand and accept a shift in our energies, the moment can bypass us. Without active grounding using a full consciousness of understanding for what we are going thorough, the energies coming into the planet will remain non-quantified and cannot anchor completely into Gaia. This is a journey that will assist an individual to understand more about herself or himself. We will work with the Ascended Masters to assist in the process of bringing forth the Cosmic Frequencies of Light into the Full Body System. We will be re-creating a journey that Mel and Mike took in 2011 for the11:11:11 energies as they created a Sacred Energy Vortex Medicine Wheel within the area of Mount Shasta. Preparation for each person is essential in order to receive the highest benefits when taking this Journey. 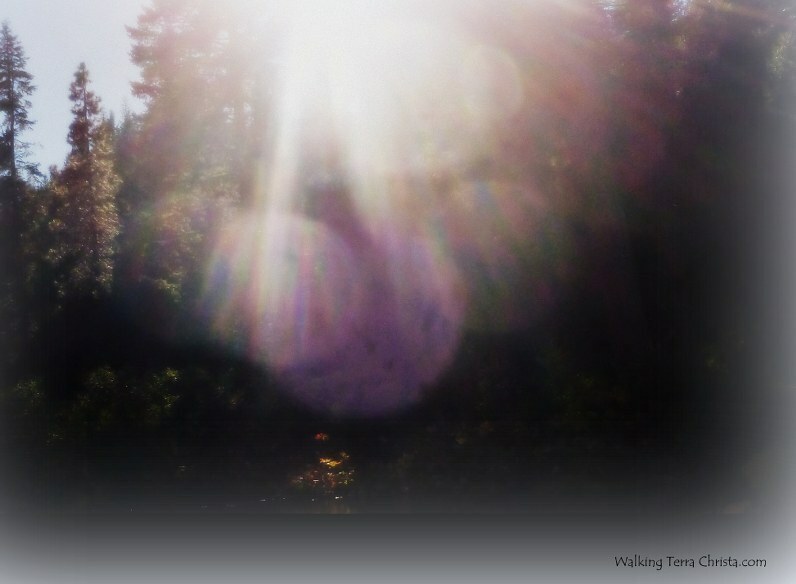 TO LEARN MORE ABOUT THIS FABULOUS JOURNEY IN MOUNT SHASTA, PLEASE SEE OUR PAGE ON WALKING TERRA CHRISTA, SHASTA ENERGY BLAST FOR 11:11. 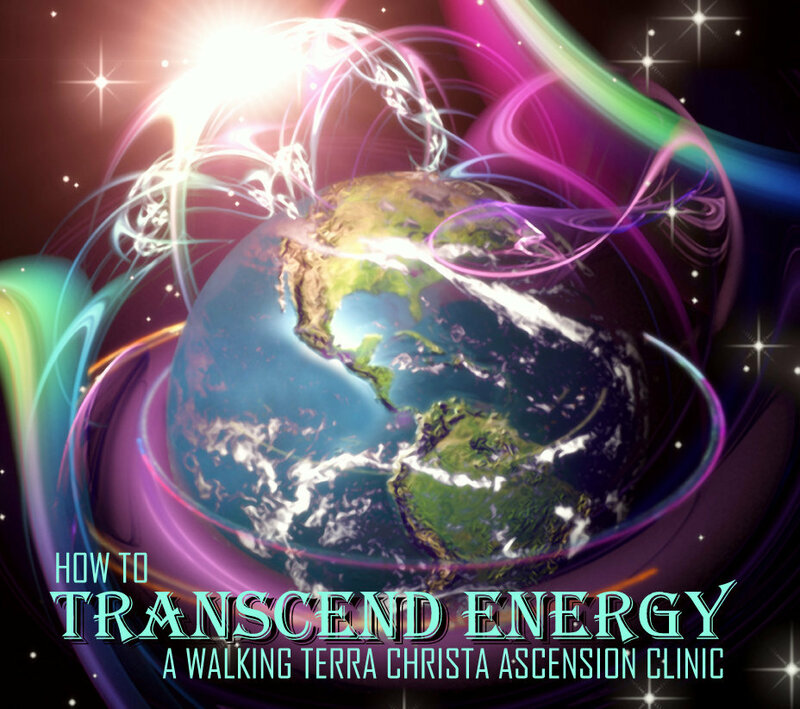 Walking Terra Christa is holding our second class “ENERGY POSTURE” in our series, “Transcending Energy – Ascension Clinic”which teaches on the subject of preparing the full body system to receive the higher accelerations. Our introductory class with Dr. Lorphan on the Crystalline Light Body gave an excellent background and Healing for anyone interested in learning more about, or already experiencing, the challenges of incorporating the Light Body (including what are termed “Ascension Symptoms”). We have learned that it is essentially important to prepare the body to receive the initiations of light so that those energies can assist in raising the Light Quotient within the body and become grounded within the individual’s “FOUNDATION”. The Foundation is located under the Earth Star and can be seen as a spiraling light formation that is created within an individual’s field. If that Foundation is filled with other elements that do not fit the higher dimensional levels that are entering the body, then the incoming energies cannot be held within the full body system. Relaxation of the Physical – A visualization to go through all the body parts to prepare for the higher energies. We will pass on a special guided technique called “Spiraling Light”, which is a meditation that Dr. W. Brugh Joy developed that we infuse with the Higher Octave frequencies of the Rays of God. We work with Lord Melchizedek to bring all of these steps into initiating the four-body system to prepare for the accelerations of light. As awakened individuals, we have to go through a process to receive the energies, which will in turn, facilitate the process of healing. Without the proper foundational steps, the higher forms of healing do not take root. This is why we have to go through the purging process of removing the old elements such as fear, anger, frustration, low self-esteem issues, co-dependency issues, insecurity within the self, (just to name a few along with the Ascension Symptoms), as well as the many lessons that we encounter in order to fully accept our Divine Self Embodied Within. It is when we go through these frequencies of the planetary changes that these elements arise within our full consciousness for us to look at them, acknowledge them, so that they can fully be put into Oneness. Many of these elements are coming from the Etheric Body, which has housed debris from the many timelines we have experienced in other times. Without going through this process, the Lower Ego can stay intact too long and cause many particles to arise within an individual that then create the opportunity for more lessons that are necessary to make the changes. It can also cause the Mental Body to be so active that the Emotional Body cannot go through the many feelings that need to be processed. We have come from eons of the Masculine Divine being the rule of the world. As this is no longer in alignment with the Higher Octave Energies we are experiencing, it can be very challenging to step into the awareness of the emotions, allowing the Heart to heal within. This is the process of the Feminine Divine blending with the Masculine Divine, (which is exactly what the New Earth requires to come into full creation). What all this means is we have to prepare the four-body system (Physical, Etheric, Emotional, and Mental) to receive the Higher Bodies (of the Higher Self, Monad, and I Am Presence) so that we can expand into the seven-body system. It requires a step-by-step process to allow the energies to full be integrated through the four bodies. When an individual can automatically go into the higher state of awareness, it makes it easier, but it takes great diligence and practice to get there. As individuals, we have to teach each of our four bodies to work with one another through this process. Sometimes we have to go back to the beginning and restructure how we achieve things in our life. As our body changes through the process, we need to be cognizant of the tools that are necessary to allow this flow of exchange. This is what our work brings forth so that a pathway that can be more easily walked to the New Earth is created. It is my Divine Pleasure to be part of these teachings. As many of you already know, I work with all of the initiates within the Mastery Pathway, and my energies are an integral part of Walking Terra Christa. Let’s speak about what it means to have “Energy Posture”. As a human, your body is not accustomed to receiving the higher light frequencies. It is in a period of adjustment so that it can be aligned with your Soul’s Essence from the higher realms. Some individuals become easily adjusted within this focus, but many do not. 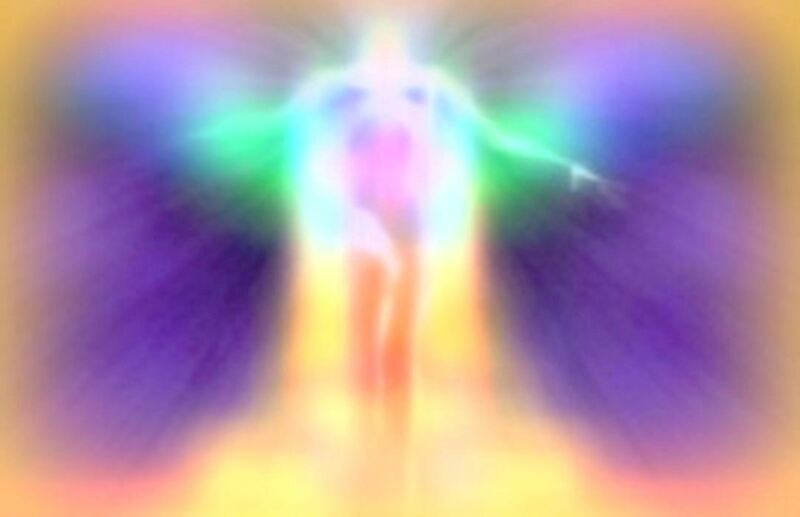 The majority of awakened souls on this planet do not know how to deal with the ascension symptoms as they come in various degrees of light frequency depending upon the lifestyle and consciousness that a person can hold within themselves. As you prepare your body to allow the frequency to be integrated within your full consciousness, you become very aware of whom you are, what works for you, and how to get through your days within the higher frequencies of light. Holding the higher light quotients within the body takes great diligence and patience within the soul. It does not happen automatically although many individuals may think just the opposite. You see, you have come to earth, the planet of Gravity, of Duality. You, as a soul, are probably very enlightened in the higher dimensions of light, but yet, on Earth it is more of a challenge to hold the vibrational essences within the physical body. So the body has to become accustomed to the process. As I said, it can be very overwhelming especially if you have not been trained to hold the light within you and ground it. Many individuals have the ability to bring in the higher essences but hold it in their higher chakras so the lower body does not receive the benefits of the higher frequencies. It is imperative to fully ground these energies not only for each of you, but for Gaia, as you are her Beacons of Light. I believe that what we will embark upon in this class is to help you realize your full potential from a soul’s purpose to fully be acknowledged within your physical body. Meleriessee and Mike have some wonderful tools they want to share; I will assist in bringing “the whole package together” with my energies. My role is to help you cement all the parts to come into Oneness of the Self. Working with each of you and this class will give me a deeper opportunity to continue this journey on a more personal basis. I look forward to working every person that attends this class, as our affiliation with each other will be connected on a more personal basis. If you are interested in attending this class on Thursday, October 8that 4:30 PM Pacific, please check out “Our Class Page”. You may attend LIVE or join just to access the MP3 recording. The series will continue throughout the month in preparation for the 11:11 energies. Walking Terra Christa also has a great Partner Member Program in which you can take advantage of weekly teachings/channelings at a price that is geared to your income level. We would love to have you join our Soul Family of Light. Every Spiritually Significant date (and every Equinox, Solstice, Full Moon, New Moon, Eclipse, Solar Flare, Planetary Alignment) is full of Cosmic Energy being directly guided from the God Force to assist the evolution of Earth. Even what some are calling ‘WaveX” comes jam packed with tremendous power to affect Humanity. It is a BIG electromagnetic whoomph. As we prepare for the 11:11 of 2015, we need to know what these energies mean for us individually and collectively. If you are keeping pace with the “not very mainstream” news sources, you will already know many are talking about the months of September, October and November of 2015 and the shift of energy that will happen to humanity. It is said to be a glorious and magical event. That does not mean an ‘easy’ or ‘smooth’ event, but it does mean every single soul upon the earth will get an opportunity to embrace the Cosmic Energies, or by contrast, perhaps choose to consciously ignore or even fight against them. Free Will is always the key. So what you should also know, as with all shifts in Energy Transference that hit our planet, the outcome to bring forth the most magic and acceleration of consciousness, is not always a certainty. It is not a given that we will fully ground the energies within each soul. Yes, earth is a place of mass consciousness where the group as a whole tends to dictate the level of consciousness (or behavior) attained by the many, but the tipping point, (as author Malcolm Gladwell had so pointedly demonstrated in his book by the same name), is created by the few. It does not take a majority to create a shift. When we speak about Energy Transference, it does take conscious focused action to take the Cosmic Energies that are hitting the planet in these events and kick them into high gear within our own electromagnetic field, that is, into our full body system of the mental body, emotional body, spiritual body, and physical (and by extension our etheric) body. This is a quantum level experience when it is fully activated consciously because it is the Crystalline Body and DNA structures that are enhanced. And since grounding Higher Octave Energy is not something Humanity has done very well before, to make it occur now we need specialized guidance and teaching from beings who understand Higher Octaves of Dimensional Reality. This is why at Walking Terra Christa we work extensively with fringe esoteric concepts and teachings. As Albert Einstein’s wisdom held, our current problems cannot be solved by the minds that created them. We therefore need access to the “Higher Mind“. And that can only be done by harnessing the power of the Higher Cosmic Frequencies. Fortunately, this is exactly the opportunity that is being given to us right now as we experience the Equinox and Full Moon this week. In our opinion, the best available wisdom we can access is to directly tap into the wisdom of the Spiritual Hierarchy and Ascended Masters. It is, quite plainly, a perspective not available from more traditional sources. We are kicking off a new teaching series on How to Transcend Energy. Specifically we delve into understanding why the Wayshowers, Torchbearers and Lightworker Pioneers, (that is ‘the few’ amongst humanity at large) are experiencing so called “Ascension Symptoms” and how they can learn to “Transcend” those energy conditions. With the level of applied wisdom from Spiritual Masters, combined with the level of consciousness that a few souls can make, this clinic will increase the amount of Higher Light Frequency that is brought into the Crystalline Body of each participant, and therefore, the amount that goes into the Earth. Our first clinic will feature one of the more significant members of the Spiritual Masters whom we work with frequently ourselves, but not typically in a more public manner like this clinic. Dr. Lorphan (from the Great White Lodge of Sirius), well known in certain circles as one of the best Intergalactic Healers within our universal system, will give the first teaching lecture to launch these clinics. If you are interested, please register by clicking the link below. Space is limited for this Global Teleconference teaching. You may attend live or access the audio file (mp3) following the lecture (we will send the link). The lecture replay is available 24/7 via the teleconference phone dial-in service to those in the USA and CANADA or worldwide via SKYPE. *You will receive the conference details via email at least 48 hours prior to the lecture. Please be sure your email address is up to date when you register. Rev. Christine Meleriessee Hayden with Master Djwhal Khul express concern of the present energies and how an individual can change the way they are experiencing them in their lives. I, as Master Djwhal Khul, am working side by side with Meleriessee to give a perspective from a human and a master. We bring forth these truths together to help an individual, such as yourself to understand where you may need assistance through the upcoming changes. As you are reading this material, please stop and breathe from your Higher Essence while commanding those energies to guide you. We will bringing forth an energetic exchange through this writing. We hope that we can give some enlightenment to the present changes you may be experiencing. 2015 has promised us exactly what the Spiritual Hierarchy envisioned for us, but did we, as individuals, truly know what we would be stepping into? That is the question that many people may be asking themselves. How much more can I take? Maybe not for you individually, but many people are asking some of these questions. The acceleration is continuing every moment of every day and it is not going to stop. In 2011 into 2012 we thought we were preparing for massive changes. But yet, when the energies came some individuals were disappointed. They wanted more to happen to allow the gateway of the Heavens to be spilled upon the Earth. These are all important questions that each of us should ponder during each elevation of light that occurs within this planet. Each of us, as souls, has chosen to be here at this time. Do you think that you are doing everything in your power to help create the New Earth or is there more that needs to be considered through the process of transitioning from the Old into the New? As the elevations of light coming into the planet, we, as Lightworkers, Starseeds, Enlightened Ones, are expected to know what to do with those energies. We are the ones that have the wisdom from our higher essence, right? So what happens when we don’t hold the frequency within our bodies because it is too overwhelming, or the body is hurting deeply because the light infractions are so intense for the physical self? Aren’t we supposed to know within ourselves how to handle these higher vibrations of light because, well, we are the chosen ones, right? I pose all of these questions so that we can start to assimilate what is occurring for each of you. Individually, the elements I am bringing forth can only be answered by each individual. I only share them to help you, the reader, who needs to ascertain within yourself that what you are doing is enough for you, as a person, and for others, as a Lightworker to share. Every person on this planet is affected by the incoming frequencies of light, but as souls that have chosen to awaken to the higher consciousness, we are the Ones that are experiencing the devastating change within the cellular structure. It does not matter how long you have been on the pathway of awakening, you will still feel it deeply within your physical body. What does matter is how you handle yourself within the emotional and mental bodies; how is the energy assimilated within your consciousness. So every one is in different stages of awareness. Some are much older and have experienced the beginning stages of this awareness in a slower, more dense environment since the 1980’s. I am unsure if that was more challenging or what the energetic exchange within the earth is bringing to everyone at this point. The difference for those individuals is that they are more mature spiritually as they have gone through the trials of the lower initiations in a more concrete manner than what the newly awakened souls are experiencing. They have had to learn through our own trials as the energy shifted within the planet. Since the New Millennium the energetic exchange within this earth is monumental. Many souls awaken and then they are unsure about who they are, but yet have a knowledge that is truly very strong within them. What happens through this level is that they become very sure of themselves, of their gifts that are quite magnificent, but their role on this earth plane can be confusing and sometimes almost non-existent. What happens to these souls of the light that have come to this earth with their higher energies? They can become lost in the process only because they have not had the training that there are certain elements that have to be sustained in their lives in order to continue their true pathway on this Earth. The older ones have seen many changes through the years and have been able to adjust more easily. The newer ones can be very impatient and not willing to stop and allow the changes to occur within them with ease and grace. This is where we can loose souls that are so powerfully capable to show the light as it should be, but yet have a difficult transition upon a planet that is growing from the Old into the New. I personally have seen this happen and it is very, very sad to see a soul who has amazing potential to fall through a dark spiraling energy because their physical bodies are not ready to handle what their spiritual self desires to do. This reflects on the fact that many souls do not know how to ground the energies within their body. They are holding the frequencies within their higher chakras and not allowing it to go deeper into their base chakra, the Root and then within the Earth Star (the grounding cord within the physical body). It is essentially important that we learn to allow the frequencies of light that are coming into the planet to be completely grounded within us. We are the Torch Bearers for the New Earth and without allowing these higher frequencies to come within us, then the energies become lost. Therefore, GAIA cannot hold them either. She may feel them for a while but if there are not enough individuals fully accepting the energies within themselves, then we stay in the 4th dimension of duality. So this year of 2015 has represented many accelerations of many different levels to assist humanity in fully accepting their role as a beacon of light upon this planet. Each month has taken us deeper into the abyss of unknowingness so that we can fully accept our truth as a soul upon this Earth. This is the pathway of being an initiate and walking into full mastery. We learn through our lessons what works for us and what does not. As Light-workers, we all know what happens during intensive times of moon cycles, planetary changes, along with sun flares that bring forth extensive energies within GAIA. Each of us are beacons of light for the higher vibrational essence to come into our bodies. We start to have symptoms within the bodily functions that eventually will help us to accept more elements to be introduced within us. It changes our thought patterns and our emotions can become very unstable. This energetic exchange is necessary for GAIA to ascend and as multi-dimensional humans it is our role to go through the same processes that GAIA is experiencing. Everyone must change who we were before so that we can fully accept our highest divinity of light to be accepted within ourselves. This means that our foundation is going to change; it is a good thing but it is very transitional. As souls, we came to a planet that has been infused with much duality and density for eons of time. So our role at this time is to help the planet but within that process we must help ourselves first. Many of us have traveled the realms of space and time while acquiring great knowledges that are important for this planet to survive. Within that process though is the fact that we will go through a completely overall of our systems from the Carbon-Based to the Crystalline Body in order to hold the light that is necessary for the ascension of GAIA while still being grounded within a planet. This has never been done previously. The planet of Sirius went through this same process but they could not get enough souls to hold the energy so the planet split apart. The higher beings went on into Sirius B while Sirius A stayed in its duality. The point is that it is important to realize that individuals have a role to change their foundation. We must adhere to the rules of the Universe within our physical existence on an individual level. Otherwise, we will not be able to stay on this Earth and ascend into the 5th dimension. This takes great diligence and perseverance to continue the pathway due to the changes that we will incur individually and collectively. As we learn to take on this role, our lives will get better through the process. Healing will occur within our four-body system in ways that we never thought possible. The struggles through that journey can be intense but also beautiful in many ways. We will have the ability to walk as the masters who have walked in previous times as together we will bring this Earth into her full accessibility of light. Every awakened person will become the Ones that allow the Energy Transference to integrate within the physical self so that GAIA can do her job. As the power of the energy surges come into our existence, the issues of the past will be healed, the elements that previously held us back will no longer exist, as we create a new foundation. We will change from the Carbon-Based Body into the Crystalline Structure. We will walk this earth together achieving exactly what our souls desired us to experience. In order to achieve these results we have some ground-work that needs to be done. Every awakened human needs to step into this healing phase, because without it, we will not be able to achieve what we set out to do as souls coming into this planet. Each person must acknowledge who they are from the perspective of the emotional and mental bodies as we hold old elements from our timelines stuck within our Etheric body that need to be healed. Without accessing these elements the foundation is not solid and can cause an individual to fall into the old habits of density, destruction, and 3rd dimensional thinking. We can access the higher energies, but if the thoughts and feelings represent 3rd dimensional energies, then that duality still exists. In order to access the 5th dimensional thinking (and in actuality the thinking comes before the full body activation), the elements within the four-body system must be addressed. So it is important at this time with the higher acceleration of changes that are coming into the planet that each person utilizes these energies within themselves. Don’t just let them pass through you and then you go on with your life as you did before. They are being presented through the higher realms to assist each of you in the process of your soul’s purpose. It is very important that you are able to access more elements within yourself than you did previously. This process continues for every human being upon this planet. It does not matter what gifts you hold or how far you rise in your levels of initiations, you will consistently be tested to hold the frequency within your foundation so that GAIA can continue her ascension. This is part of the role that each of you as Awakened Ones have decided to hold within your existence upon this Earth. The lessons you are experiencing will help you in the future accelerations. Please know that they will continue until this earth can hold the 5th dimensional frequency and beyond. So in writing in this moment it is imperative that we discuss the fact that these elements must be achieved. Some may say it is not important, but once you step into the world of healing all parts of yourself, then that is how the changes become the resulting energy. Don’t hold yourself back by not realizing all parts of yourself need to be addressed. In order to receive the Crystalline Structure within your physical self these steps must be taken. The energetic changes are helping you to do so; they are not there to stop you from your full potential. In actuality they are assisting you to be the multi-dimensional self within your physical existence. Take moments within your breath to accept the higher part of your reality, but let that energy go into your full body system. Allow it to go to your emotions and your thoughts. Notice how you speak, what you feel from others, and how to find your true purpose, your Will, your Love, and your Power. Do not skip over any steps. These present accelerations at this part of the year are taking you deeper into the abyss of what you do not want to see, but that is the pathway of being multi-dimensional. All aspects must be shown in order for the Truth to be revealed. This process is not easy but necessary for GAIA; she cannot move forward if you do not help her. She will destroy many areas on the planet with her own pain and frustrations. But when you do your part, you are giving that essence unto her as the Transference of the Energy comes into you, it will go to her. Prepare yourself for the 11:11 energies. It is much more powerful than it has been previously due to the changes that have resulted within each of you and upon this earth. Do not let anything stop you from your full potential. Take care of yourself, all parts of yourself, so you can walk as a Master upon this Earth. Do not hesitate as the time is now. I bless each of you through this transition and walk with you in the silence of the Light. Together we shall arrive at our destination of the New Earth. 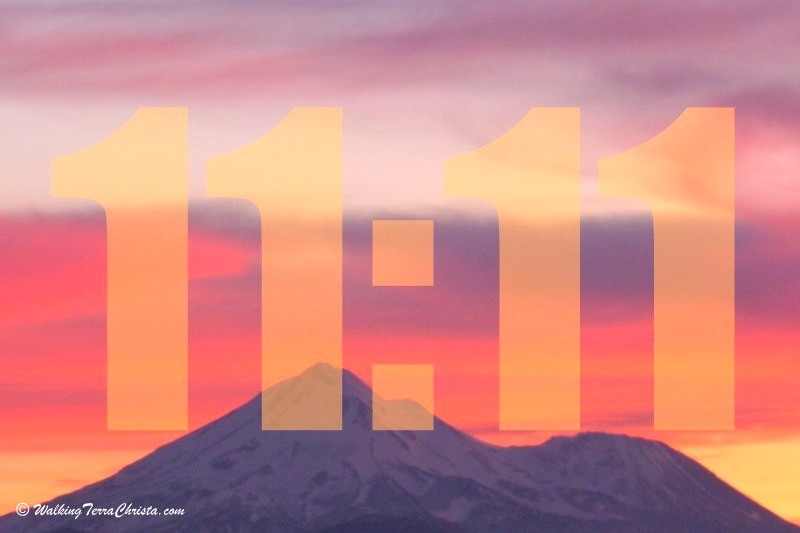 Walking Terra Christa is also facilitating a very special Journey Retreat in Mount Shasta for the 11:11 called the SHASTA BLAST including a Distance Learning Option for those who cannot be there physically. Lord Saint Germain and Lord Adama will be our hosts along with many other Masters as we experience the energies of this amazing vortex of light to assist us to be the Energy Transcender for the New Earth. Click the link above to receive more information about this powerful ascension journey.